ZIMBABWE – WAR Veterans’ minister Christopher Mutsvangwa faces arrest after two Manicaland-based liberation war fighters filed a police case against him, accusing him of verbally abusing them and threatening them over the phone. Michael Makiweni and Gladys Kadungure claimed Mutsvangwa called them on Sunday night and threatened them with unspecified action for “attempting to block his manoeuvres” in Mutare. Mutsvangwa’s alleged threats came after the war veterans resisted the imposition of Nyanga MP Hubert Nyanhongo as their provincial chairperson. 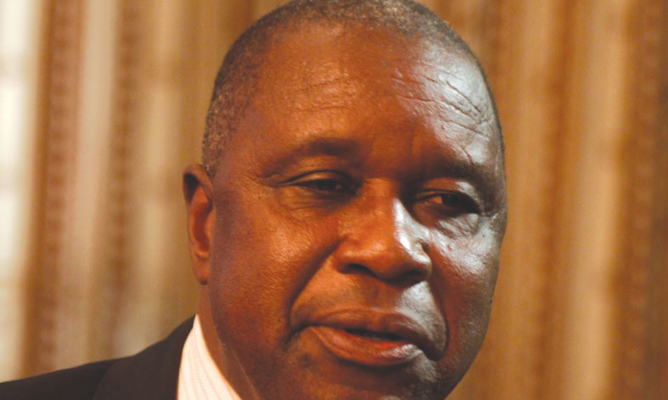 “He (Mutsvangwa) called me around 1018pm on Sunday and told me that I was a stumbling block to his plans and that he will deal with me,” Makiweni said. “I reported the matter to the police in Rusape yesterday (Monday) and I have been called and I am on my way to the police station right now. The police have recorded a statement from me and they are opening a docket right now. I will give you the case number. The development comes at a time the Zanu PF Manicaland factional fighting had cascaded to war veterans with former fighters reported to be heavily polarised between Environment minister Oppah Muchinguri and Manicaland Provincial Affairs minister Mandi Chimene. Early this month, a meeting to select a provincial executive ended prematurely in Mutare after the war veterans in the province rejected Nyanhongo, a former soldier, who had been reportedly forced on them by Mutsvangwa. Makiweni said Mutsangwa’s threats were emanating from a botched meeting in Mutare early this month in which the war veterans resisted the imposition of Nyanhongo by Mutsvangwa as provincial chair. Makiweni said he was convinced Mutsvangwa had partnered Muchinguri in fuelling factionalism in the war veterans’ association, but warned that as liberation war fighters, they will not subject themselves to anyone except President Robert Mugabe. Kadungure said Mutsvangwa called her on Sunday around 10:22 and threatened her. “He first sent a text message and then called. He told me that he sits in meetings weekly with President [Robert] Mugabe and accused me of scuppering his plans. He said he will deal with me,” she said.